Few figures have dominated the character of a nation’s life as John Knox has influenced the history of Scotland. 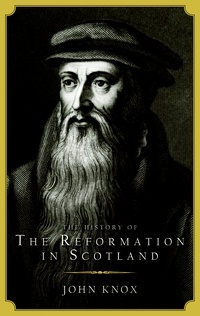 In this remarkable work, originally dictated to his secretaries between 1559 and 1571, John Knox tells the story of his times and the progress of the Reformation in Scotland. These pages breathe the sense of excitement and expectation possible only to an eye-witness and participant in the unfolding drama of the Reformation in 16th century Scotland. John Knox was incapable of writing history in a detached fashion, merely as a catalogue of events, or even as a tracking down of causes and effects. The days through which he lived were full of the signs of the work of God. So, he said: ‘We write that the posterity to come may understand how patiently God wrought in preserving and delivering those that had but a small knowledge of the truth, and for the love of the same hazarded all’.